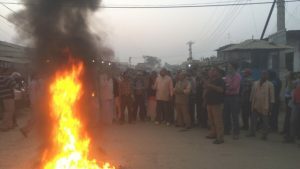 United Democratic Madhesi Front has organized a torch rally in various district of terai region in the evening of February 21 against the government announcement of election date. 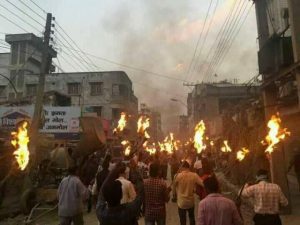 According to INSEC district representative Manohar Kumar Pokhrel of Saptari, the front has demonstrated torch rally in major places of Rajbiraj. The front has demonstrated the rally against the government for announcing the election date before the address of their demand through constitution amendment. INSEC district representative Ajaya Kumar Shah of Mahottari said that Madhesi Democratic Front has organized a torch rally in Jaleshwor on a same day against the government announcement.District Party chairman Ram Babu Shah of Nepal Sadbhawana Party while addressing the triangle assembly said that the demonstration is against the government for not giving priority on their demands . He further accused government of attempting to encourage conflict in Terai. According to INSEC district representative Nanda Ram Paudel, the Madeshi front has called on Madhes Bandh on February 22. 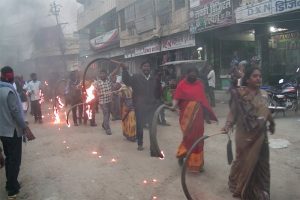 On the eve of bandh, the cadres have demonstrated torch rally in Taulihawa. Addressing the triangle assembly after the torch rally, coordinator Shailendra Prasad Yadav of the front said that the government has betrayed madhesi people by announcing the election date before addressing their demands. He further warned government that they will not allow election in Madhes. 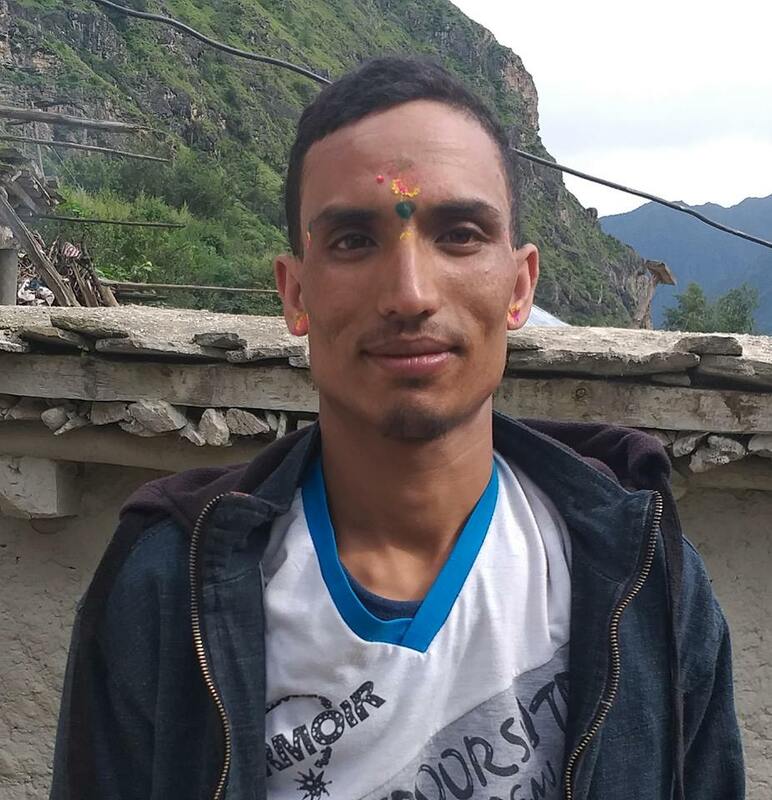 INSEC representative Binod Kumar Rabidas said that torch rally was organized in Janakpur against the government announcement of an election date. Till date, no incidents of loss of lives or property loss have been noted.